You have your trade show exhibit ready to go, the trade show booth is set up, and your product is a winner. Now all you need are the customers. Standing room only, please. Right? Well, for most trade show exhibitors, attracting customers is just as important as the product they are selling. Enter trade show giveaways! Trade show giveaways are promotionals tools (items, handouts, marketing materials) designed to attract customers, promote business, and help market a product after the trade show exhibit is over. By using these strategies, the goal is to bring business to your trade show exhibit, then give the customer something to remember your product by. Hopefully, the promotional item will be a success and your customers will leave satisfied, happy, and gladly telling everyone they encounter about your fabulous product and great free trade show giveaways. There are some choices to make when deciding what promotional tools to use. Ultimately, the goal is to choose the promotional method that will attract the most visitors to your trade show booth, and make your trade show exhibit a success. You will also need to determine the amount of marketing dollars you have to spend on your promotional materials. 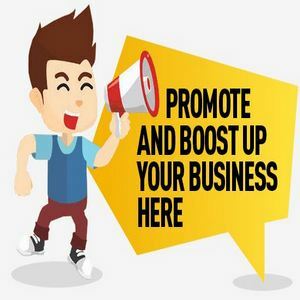 If you are unable to afford what you believe is the best promotional or marketing tool available, then you may have to settle for other items until your budget allows you to expand in this area. Many promotional tools are designed to be kept by the customer, and to remind the customer continually of your products and services. This is accomplished through items that have been customized with your company’s information and logo. Items such as free pens, notepads, balloons, magnets, and key chains are perfect examples. Another great and effective trade show marketing strategy is to have a raffle where the entrants are required to either sign up at your trade show booth (using their contact information) or leave a business card (you can set up a bowl or container to collect the cards), and then after they have enjoyed the exhibits, they will return to your booth for the announcement of the prize winner. The wonderful benefits from using this technique is that you have a book full of contact information and a container full of business cards that you may use in the future to contact these potential customers. Another great idea is to use an attention grabber to attract customers to your trade show booth. This includes ideas such as: setting up a massage chair (sit back and watch how long the line grows as customers wait for their free massage), or even setting up a free food giveaway. These are just a few things you can do to catch the eye of the customer. Things such as free massages and food will help bring the customer to your trade show booth, and and a free promotional item is something they can take home with them to remember your company’s name. Above all else, it doesn’t matter how many trade show giveaways, free food, or raffles that you have if you don’t have a ready-made script and properly greet all of your potential clients. When you notice a customer looking at your display, immediately greet them with a smile and start a friendly conversation with them. Your products, giveaways, and tickets are there to work for you, but you must be the one to work them. If you need to have assistants help you, then by all means do so. You should never enter into a trade show exhibit without adequate preparation and help. Remember that the most important giveaway that you have to offer all of your customers is your genuine smile and friendly conversation.